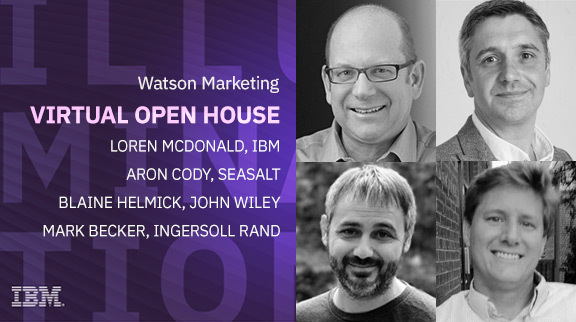 Want to know how businesses like yours use IBM Watson Marketing? IBM Watson Marketing customers show their use of solutions like Watson Campaign Automation, Content Hub, Customer Experience Analytics, and Watson Assistant. Hear directly from John Wiley, Seasalt Cornwall and Ingersoll Rand.